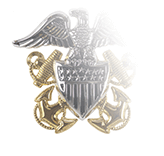 Marine Corps Captains wear embroidered insignia of grade on the shoulder straps (epaulets) of the male and female versions of the Evening Dress jackets worn with the “A” and “B” variants of the Evening Dress Uniform. 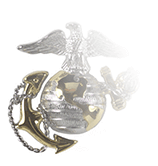 At The Salute Uniforms, we embroider the two linked silver bars of the Marine Corps Captain’s insignia on a square swatch dark blue cloth that is then stitched onto the shoulder straps, providing cleaner edges for the insignia itself. 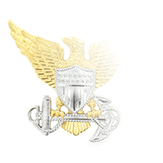 Guidance for placement of embroidered Officer insignia is the same as for metal grade insignia worn on the epaulets of other Marine Corps coats and jackets. 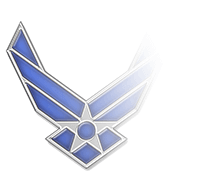 All Officer insignias made of bars (Lieutenants, Captains, and all Warrant and Chief Warrant Officers) are oriented so the long axis is pointing to the wearer’s front and back and the bar is centered between the front and rear edges of the shoulder strap. The distance between the outermost edge of the bar (closest to the shoulder) and the armhole seam should be 3/4-inch. 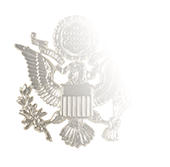 Although Staff Noncommissioned Officer (E-6 to E-9) are authorized to wear an Evening Dress uniform, they do not wear insignia of grade on the shoulder straps of the SNCO Evening Dress jacket. Instead, they wear 1890’s-style gold-on-scarlet insignia sewn three inches below the shoulder seam on the outer half of the sleeve.